KROCK90Q.BUZZ is the most FM radio station, "THE LAW WILL ALLOW!" It’s a satirical exploration of the non stop rock'n world of FM radio with songs, commercials and behind the tape deck sound bites that are a window into the world of the FM radio D.J. Of course it wouldn't be FM radio without endless stingers bragging about how rock 'n roll their station is. What station are you listening to? Click to order! It’s Available on iTunes, Spotify, Amazon & anywhere that ROCKS! Nick returns for the second season of SPORTS LITE WITH MIKE HALL on the BIG TEN NETWORK. Catch Nick throughout the season as the SPORTS LITE correspondent who hits the streets all over the country asking the tough college football questions that are too ridiculous for more credible sports journalists to ask. CHECK OUT THE new SHORT FILM 'PISSER'! 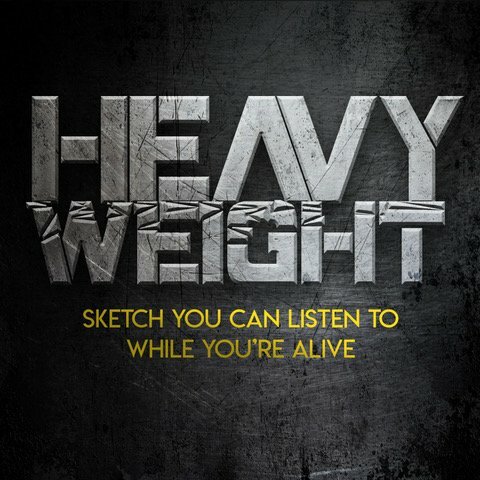 heavyweight sketch comedy won a webby for "Podcasts & DIGITAL AUDIO: COMEDY"
Click here for "the best of heavyweight"